Last week's posts about Karl Gerstner reminded me of this book. 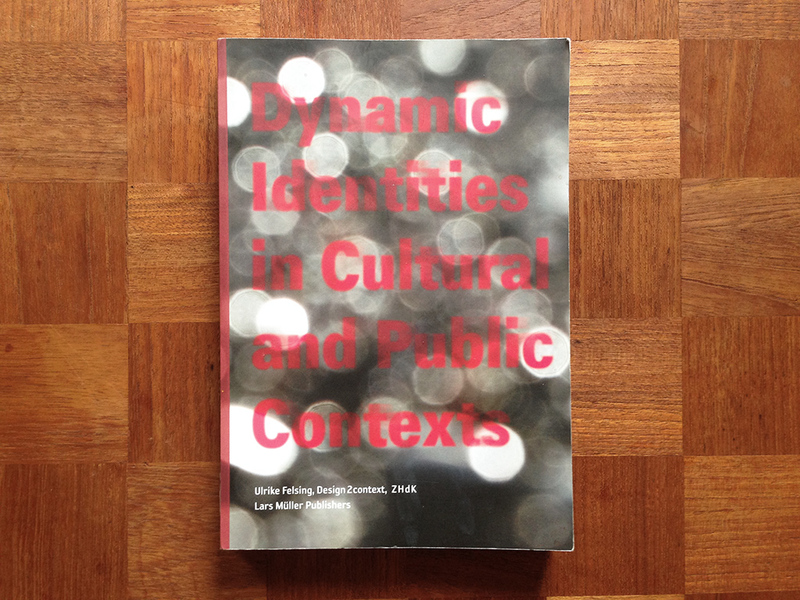 Dynamic Identities in Cultural and Public Contexts (2010) is less of a design book, and more of an academic research paper on dynamic logo design, in which the author categorizes the different qualities of computational and generative identities. I see a clear line to Karl Gerstner's work on modular design systems, and many of his design products could have been featured in this book. 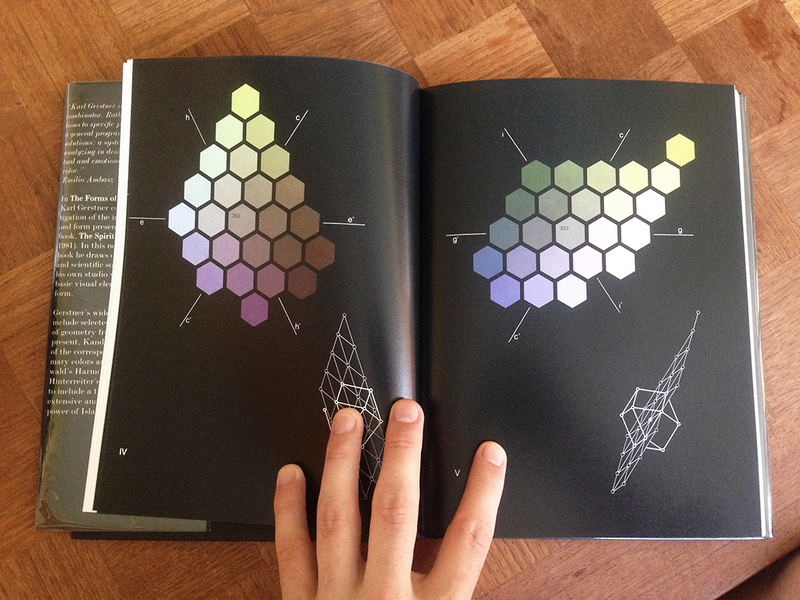 Although the book has many real-world design examples, I find the quality of them a bit lacking. This could be because the field of generative design often leans more towards trends and technical ambitions than actual good design. I show some of that work in my lecture on dynamic logos (although that link mostly has notes for myself). 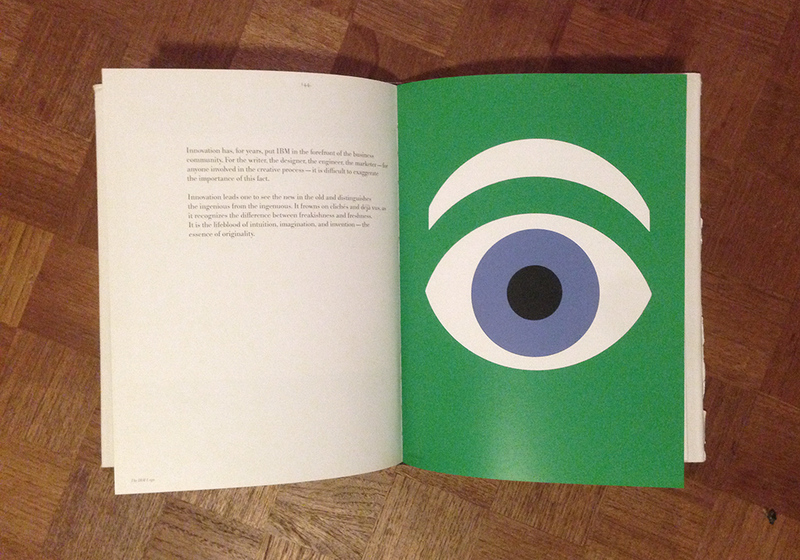 One of the more interesting logos in the book is the visual identity for Walker Art Center in Minneapolis. I had the chance to see it in person during last year's Eyeo Festival, and it's quite interesting. The logo is built around the custom Walker typeface created for the center in 1995, and a custom piece of software that generates these word collages. Every character in the alphabet is mapped to a word (d is design, e is exhibitions, etc), and a new visual can quickly be generated by pressing a few keys on a keyboard. The horizontal structure of the identity is also perfect for leading visitors through the hallways of the building. In a field where critical thinking is often neglected ("Hey look, I splattered a canvas with an algorithm! "), I welcome this book with open arms. How would you react if I handed you a blank canvas and said "make a beautiful drawing"? What if I instead said "make a beautiful pattern using only straight lines"? 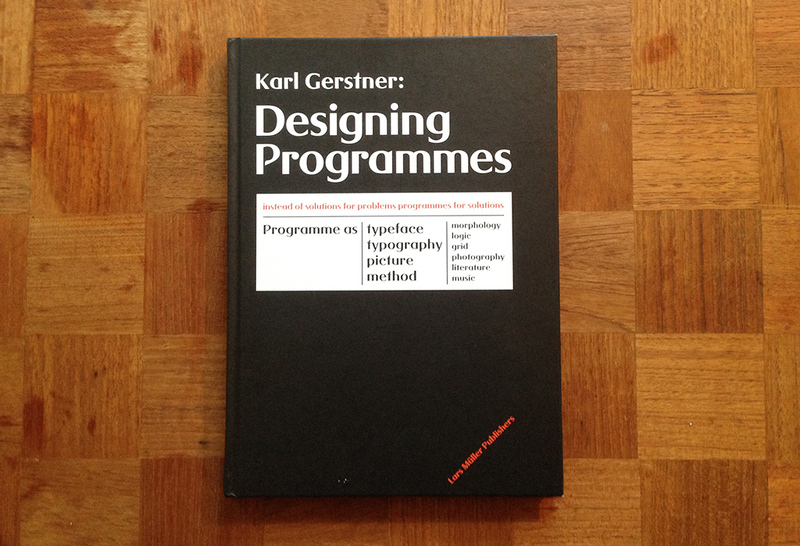 The more experienced I get, the more I realize that constraints are a central part of any design process, and Karl Gerstner's Designing Programmes is one of the central books about this subject. 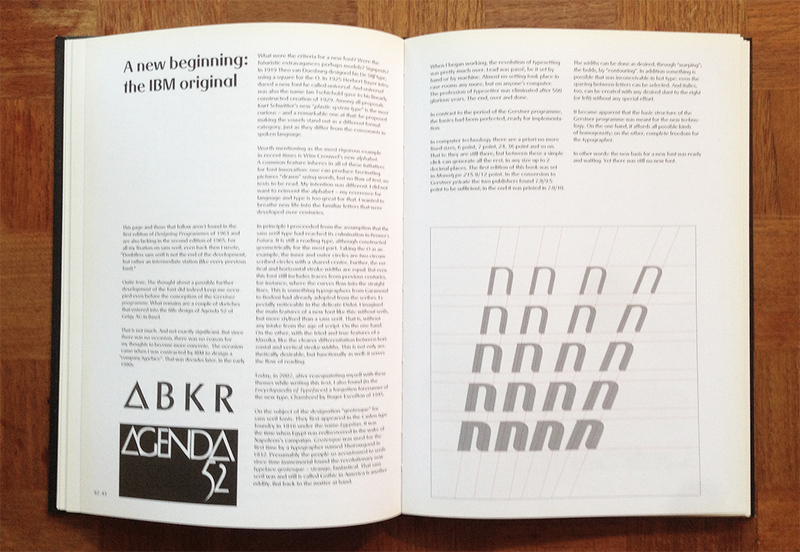 The book was released in 1964, but describes the kind of algorithmic design process that is most relevant to designers from the computer generation. Gerstner's idea of a design program is a rule set or system defined by the designer that can help shape all aesthetic decisions for a particular design product. 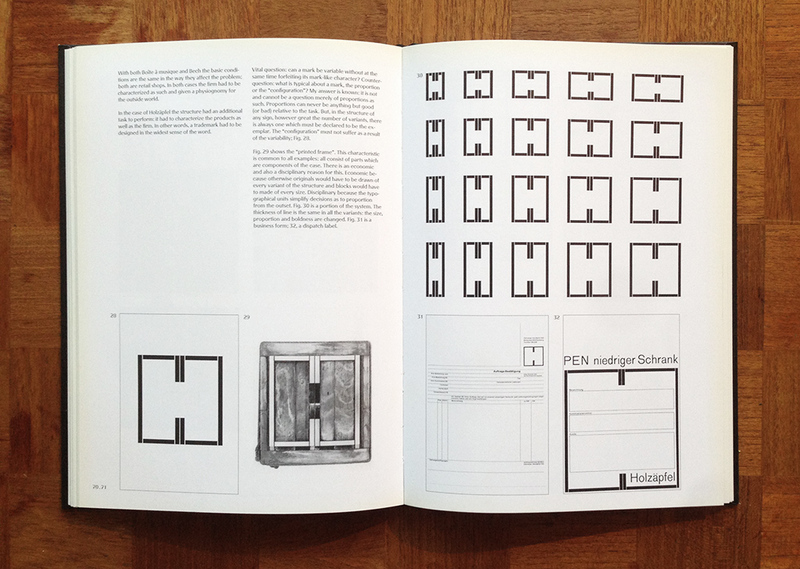 An example would be the following picture, where the logo for Holzäpfel functions as both a grid system, a font, and a symbol for the company. The design program is the basic geometry of the logo, which dynamically changes to fit different design products. Designing Programmes describes many applications for this design approach: rule-based color selection, architecture as a program, and generative literature (only to name a few). It's especially interesting to me how he describes a programmatic approach to typefaces almost 15 years before Donald Knuth started development of Metafont. If you're interested in this, I encourage you to read through my lecture on the subject. I personally believe that Gerstner describes a design process that contemporary designers barely are starting to understand, and only a handful of design agencies have actually implemented (Sagmeister & Walsh would be one). I think there's a world of interesting ideas to explore if you apply Gerstner's ideas towards designing in software, and I've personally started to poke at it with my Printing Code class. In my lectures and talks, I often speak about the Swiss Style, a term used to describe a new approach to graphic design that came from Switzerland in the 1960’s. 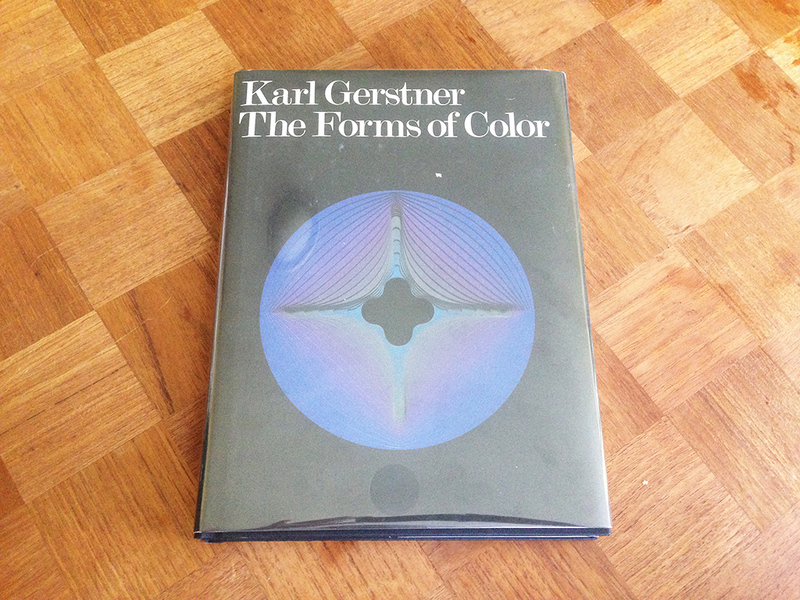 One of the leading figures in this movement was Karl Gerstner, who's book The Forms of Color (1986) I recently bought. 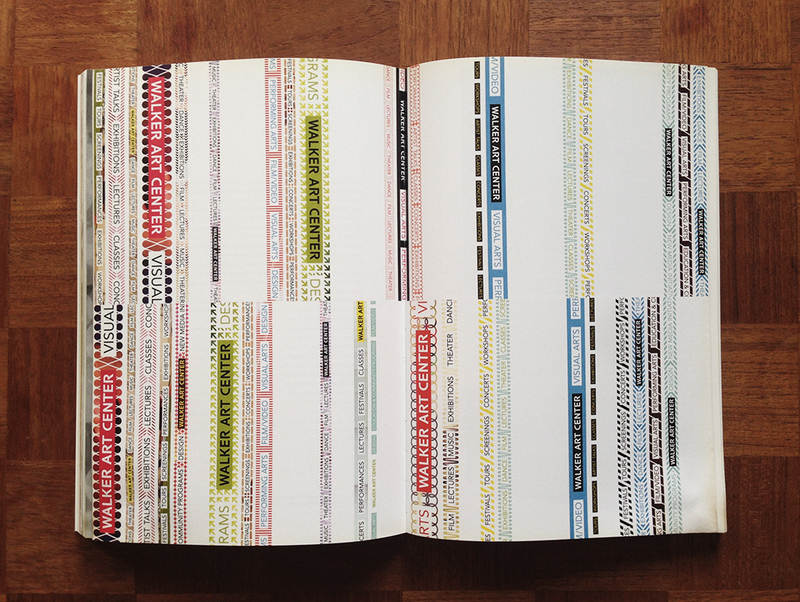 Gerstner is an exciting author for anyone interested in algorithmic design systems. Even though most of his work was done before the computer age, his work concentrates on describing an almost algorithmic approach to design, inspired by the teachings of the Bauhaus (Le Corbusier, Kandinsky, Albers, Itten, etc). 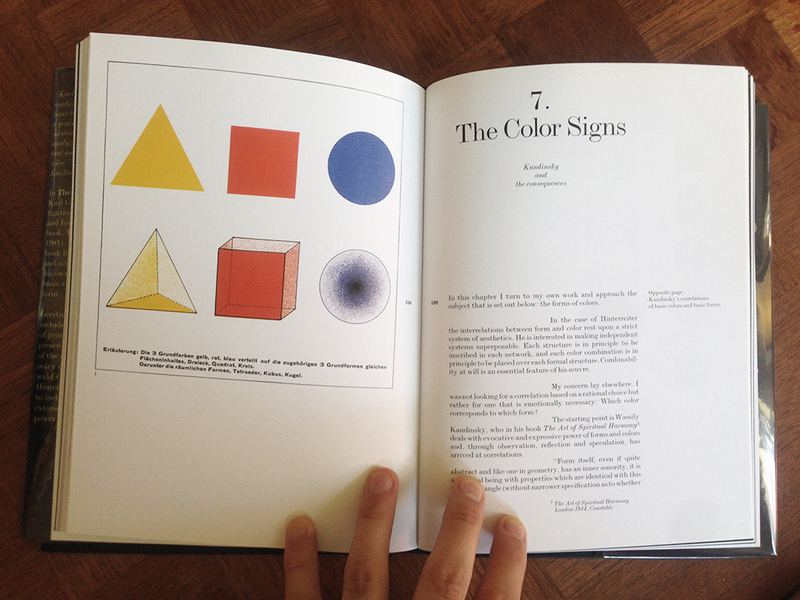 As shown in the picture below, Gerstner believes that color and color perception should be learned by applying basic geometry to the color wheel. A very basic example would be to overlay a triangle on the color wheel, creating a triadic color scheme. By changing the angles of the triangle, you'll generate different triadic color schemes based on the same formula. This is how I introduce the concept of color manipulation to my students, as it's an approachable way of thinking about color in code. 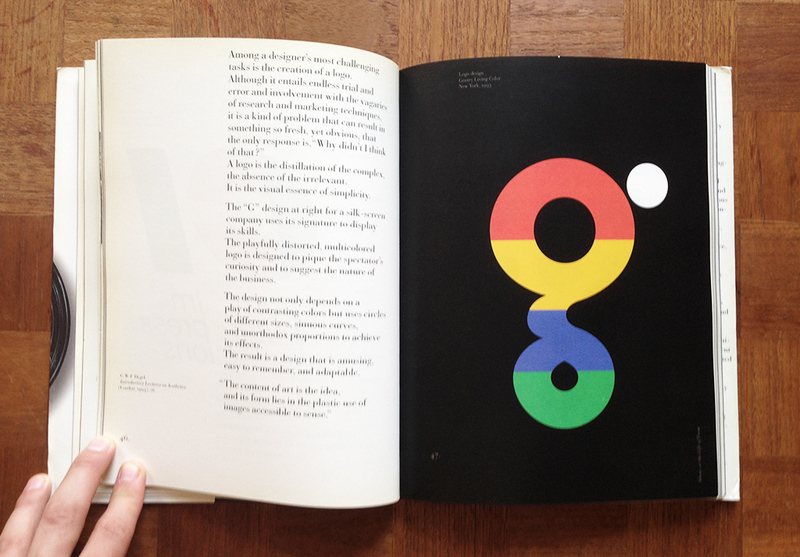 I often think of Gerstner's goal as creating a vocabulary for design that breaks the idea of the designer as an artist. The central idea of this is his Design Programme, which I'll talk about in my next post. 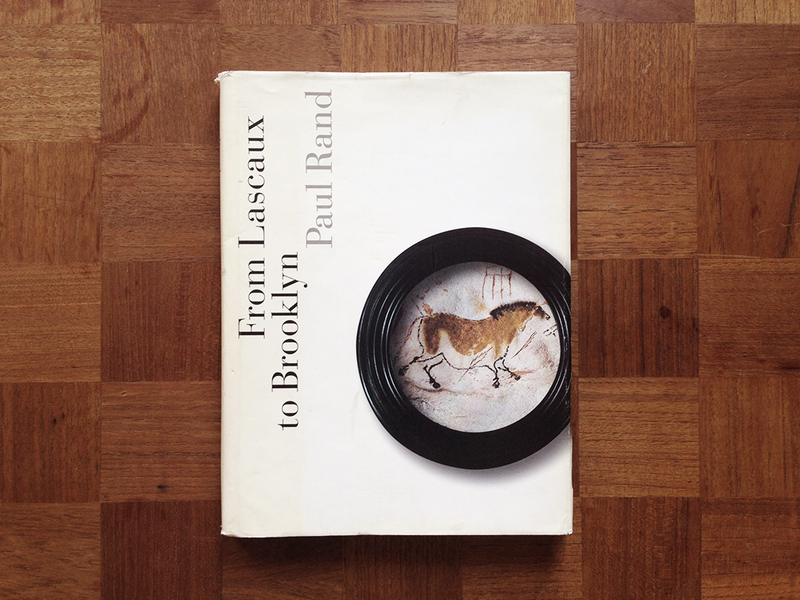 In this lively and visually arresting book, Rand awakens readers to the lessons of the cave paintings of Lascaux – that art is an intuitive, autonomous, and timeless activity – and he shows how this is conveyed in works of art [...] all of which are aestheticially pleasing no matter what their era, place, purpose, style or genre. 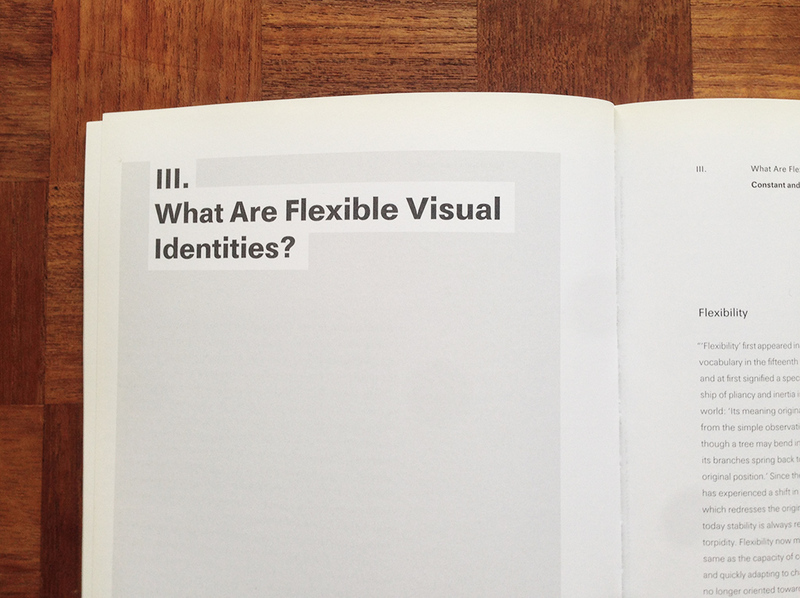 The format of the book is like most of his other books: Short texts with lots of examples of his own work. I enjoy Rand's work because it balances a very freehand and artistic process with a more systematic and functional design approach. 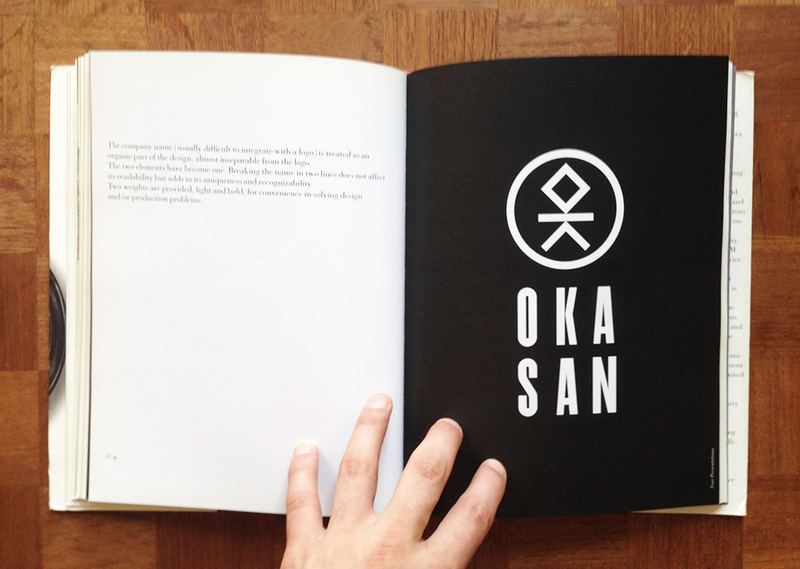 He found freedom within his own constraints in a way that very few designers has managed to do, and even though his own work has a very specific style, this book – with its thoughts on design principles as a foundation for all art forms – can be an inspiration to anyone looking to apply a system to their own artistic process. 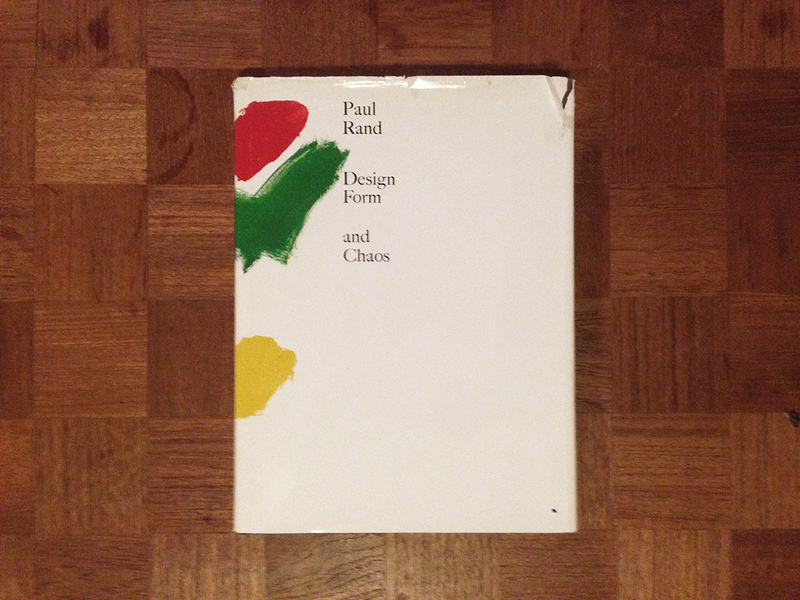 Design, Form, and Chaos was one of Paul Rand's later books, published three years before his death in 1996. 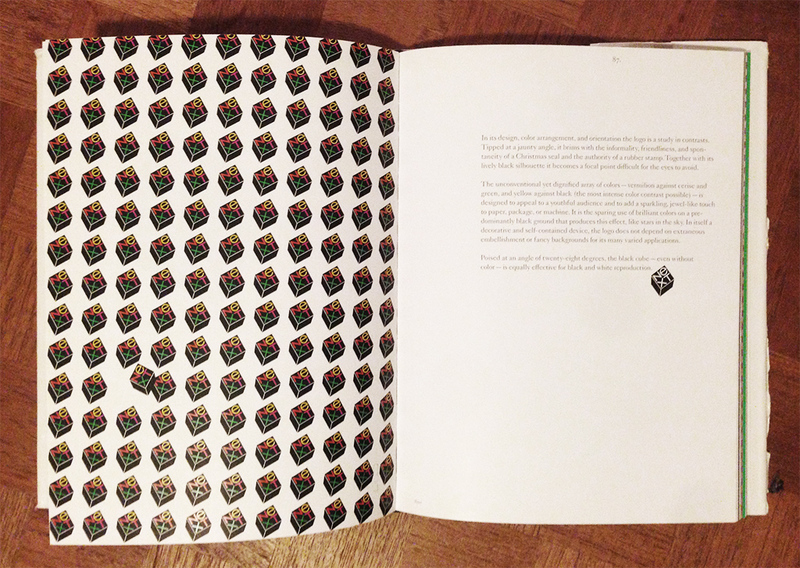 The book focuses on seven of his most famous logo designs (NeXT, IBM, IDEO, etc), and is especially interesting because the original design portfolios – the pamphlets delivered to the clients – are printed unedited along with the logo examples. The IBM logo presentation shows the logo before and after Rand's redesign, as he explains how the stripes were inspired by the horizontal lines sometimes printed on legal documents to discourage counterfeiting. I especially enjoy the presentation about the NeXT logo, where Rand presents the precursors to the final logo, and explain why they didn't fulfill the design goal. Seeing the logo come to life through a number of design steps is a nice peek behind the curtain of his own design process, as well as a great reference to any junior designer. No. I will solve your problem for you. And you will pay me. And you don’t have to use the solution. If you want options, go talk to other people. But I’ll solve your problem for you the best way I know how. And you use it or not. That’s up to you. You’re the client. But you pay me." Rand later said that Jobs' first words after seeing the NeXT logo were "can I hug you?. I own the first edition hardcover from 1993.